Let's have a little bling on our tips today? 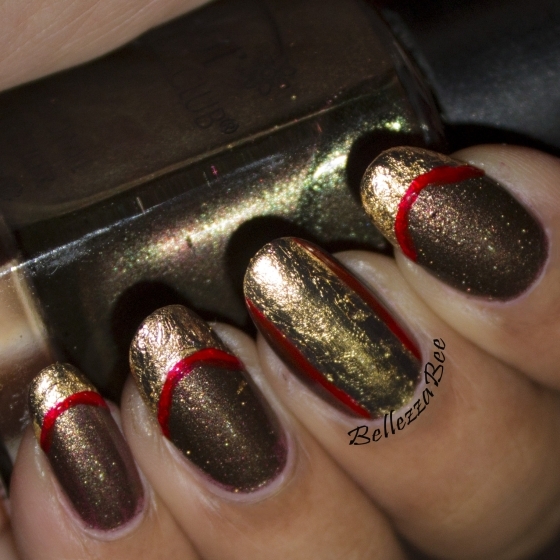 The use of gold foil can take a regular french tip into a more modern look with added shine. The combine colors of dark brown with the textured gold reminds me of a yummy chocolate bar peaking out its wrapper. 1. 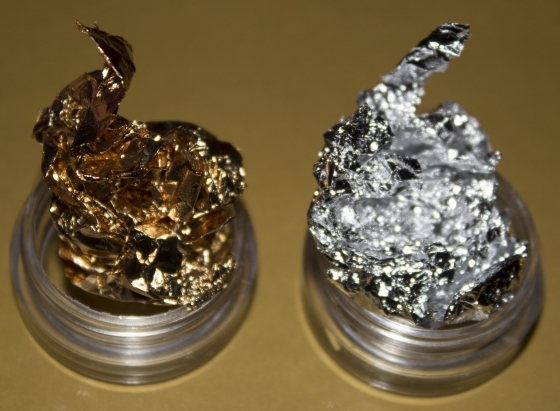 The set is sold with both silver and gold colored foils all stored safely in small pots with clear lids. 2. 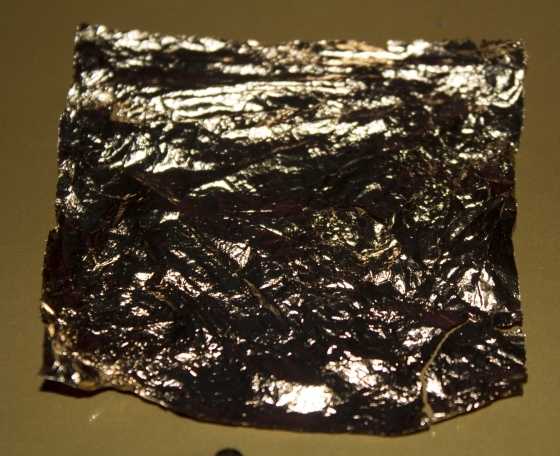 Each foil comes in a rectangle sheet that is simply folded into its container. 3. They are very delicate and can crumble easily so you have to exercise care when cutting or tearing. 4. They are very soft and can be molded easily to suit the curvatures of your nail bed. For today's design I applied two coats of Color Club Vintage Nouveau and then marked off my curved french tip. 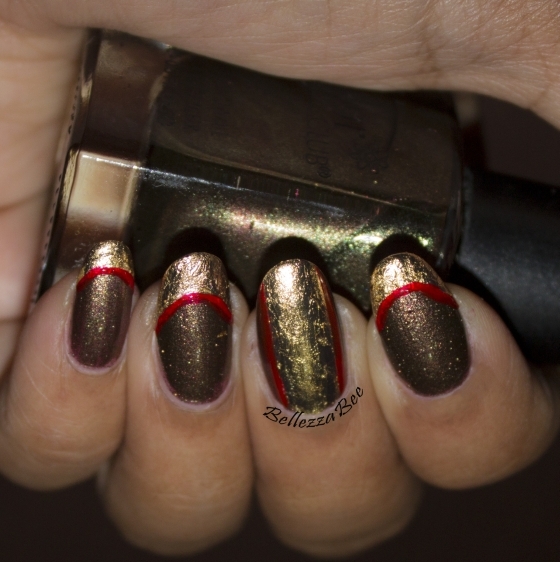 Apply your gold foil to the area you want it to stick onto. Press firmly to keep in place. Apply a line to highlight the area of the french tip curve. Seal in your design with a top coat.